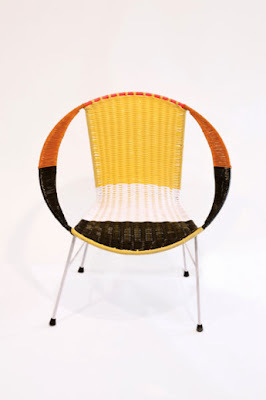 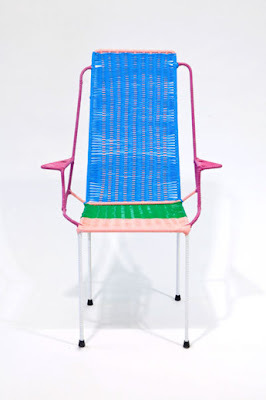 Marni has created a collection of 100 colorful wicker chairs which were made by ex-convicts in Colombia in a re-assimilation program. 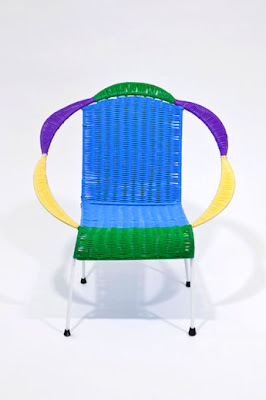 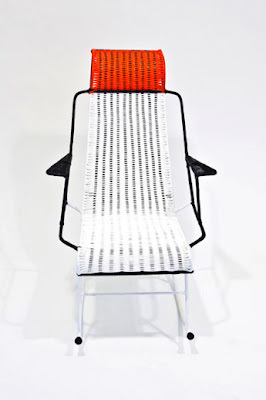 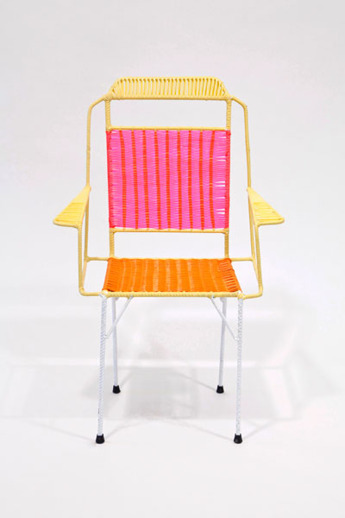 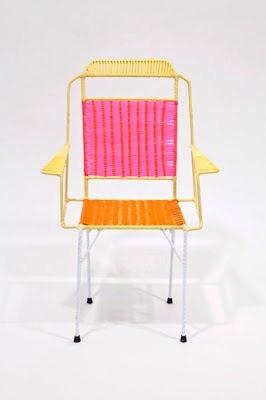 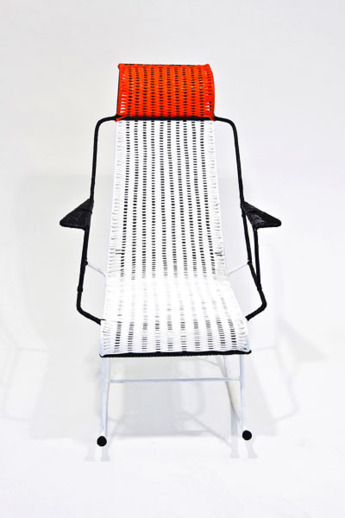 The chairs are made on a metal frame and the backs, seats and arms are made of variously-colored PVC cording. 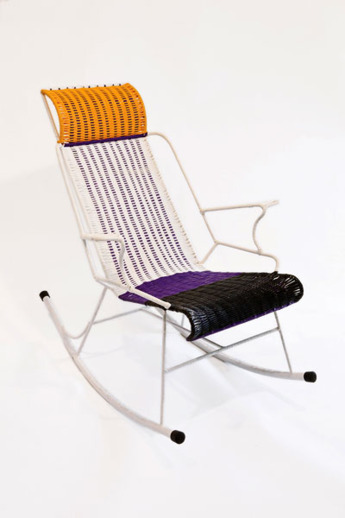 While the style of seats is traditionally Colombian, they have been updated with Marni's reinterpretation of the woven pattern to create totally new colourways. The chairs were exhibited at the 2012 Salone del Mobile in Milan and funds raised from their sale will be donated to ICAM, a Milanese organization that reunites imprisoned mothers and their children.